P. Angelides & Co LLC is a member of the International Trademark Association (INTA), the European Communities Trade Mark Association (ECTA), the MARQUES, the Pharmaceutical Trade Marks Group (PTMG) and the International Association for the Protection of Intellectual Property (AIPPI). “A trademark is a distinctive sign which identifies certain goods or services as those produced or provided by a specific person or enterprise. Its origin dates back to ancient times, when craftsmen reproduced their signatures, or “marks” on their artistic or utilitarian products. Over the years these marks evolved into today’s system of trademark registration and protection. The system helps consumers identify and purchase a product or service because its nature and quality, indicated by its unique trademark, meets their needs”. • Name and/or depiction of the mark. • The class (When registering a trademark, the Trademark Office requires the applicant to define the classification of their goods and services. The majority of countries in the world have adopted the International Classification of Nice which groups all products and services into 45 classes: 34 for products and 11 for services). • Description of the mark. • Products or services the mark covers. • Applicant’s name and address. Once the application is filed, the application is examined by the Registrar. Should there be no complications, the mark is registered and a certificate will be issued. If, however, there are complications and objections by the Registrar, they may be refuted with a “considered reply”. The applicant argues his views in the considered reply, with scope to convince the Registrar to withdraw his objections and have the mark accepted. Once the mark is accepted, it is published in the Official Gazette. Trademarks are registered for an initial period of seven years. After this period, the trademarks must be renewed every fourteen years. A Patent is a right granted for a device, substance, methods or process that is new, inventive and useful when compared with what is already known, giving its holder (patentee) the power to prevent other persons from exploiting an invention without the patentee’s authorization. Patents are governed by the Patents’ Law (Law 16(I)/98, as amended by Laws 21(I)/99, 153(I)/2000, 163(I)/2002 and 163(I)/2002). The consolidated text of these laws can be found in www.cylaw.org. Who can claim Ownership of a Patent? The owner of a patent could be the inventor or his successor in title. Unless otherwise agreed, joint inventers have equal rights of ownership. For cases of employer-employee relationships, a contract regulates the ownership of the invention. If a contract does not exist, the patent rights belong to the employer. How is a Patent Ownership established? Patent ownership is recorded in the Registry of the Cyprus Patent Office. 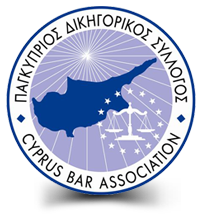 All transfers of ownerships must be recorded in the Cyprus Patent Office Registry by submitting the relevant applications and documents. • Request for the grant of a Patent. • Name, address of the applicant, inventor and representative. • Description of the invention. • An abstract summarizing the description of the invention.